Great! Easy! 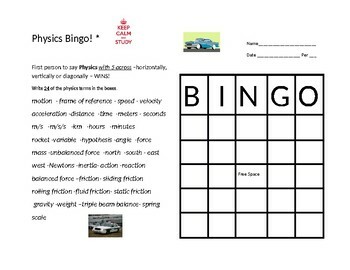 Fun activity to review physics vocabulary prior to test! 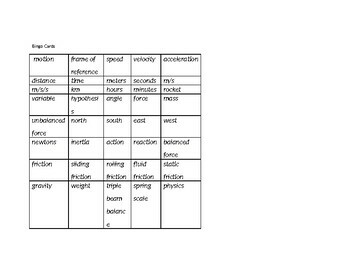 Also included are the worksheet and vocabulary cards to use during the game.